Kathleen Salvaty, the first person to serve in the position of system-wide Title IX Coordinator for the University of California, announced her resignation from the position in an interview with the Nexus last week. Salvaty began as a Title IX coordinator at UC Los Angeles and continued to live in Southern California after she received the position as the first system-wide coordinator. 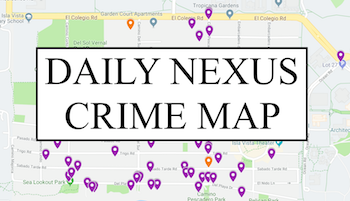 In an interview with the Nexus on April 27, Salvaty said the distance from Southern California to the UC Office of the President (UCOP) in Oakland was part of her decision to resign. Salvaty discussed her time serving in the position and said that the most gratifying part was seeing the diversity of the UC campuses while recognizing that they were all similar in their commitments to trying to protect students and faculty. She also said a rewarding part of her time serving in the position was the formation of the Title IX Student Advisory Board. The board is composed of one undergraduate student and one graduate student from each UC. The board has been focused on clarifying Title IX procedures as board members believe the procedures can be hard for students to understand, according to Salvaty. She said the board is considering potential amendments to the system-wide policy. The policy amendments stem from a four-year federal investigation that revealed UC Berkeley violated Title IX policies. As a result of the investigation, UC Berkeley released a Resolution Agreement outlining new requirements agreed upon with the Office for Civil Rights (OCR), a sub-agency of the U.S. Department of Education. The changes to the policies are expected to be finalized by the end of February 2019. Salvaty’s replacement, Suzanne Taylor, previously worked as an OCR Civil Rights Attorney. Taylor currently works within UCOP as a Title IX principle investigator. Taylor explained that she believed the most meaningful work she did within OCR was in the area of sexual harassment and sexual violence. “My goal in serving as interim is just to continue the great work that she’s done of building the office and continuing with prevention and response efforts and really identifying and helping with implementation of those practices by the campus,” she added. A version of this story appeared on pg. 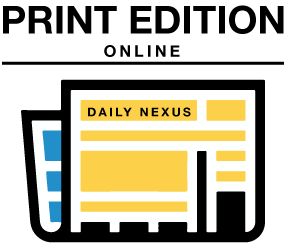 1 of the May 3, 2018 issue of the Daily Nexus.